This month’s box includes a bonus item! 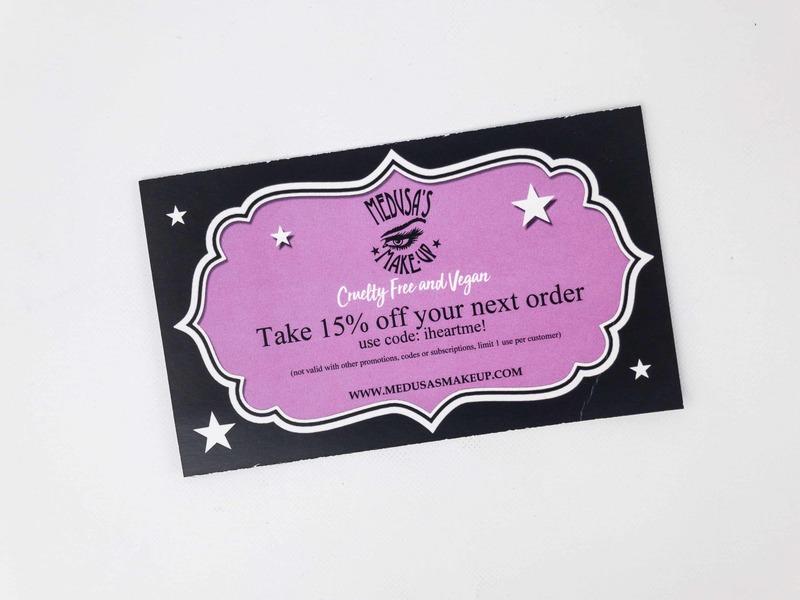 There’s also a coupon code for 15% off your next order. 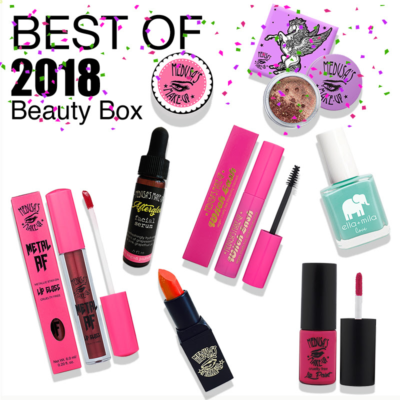 Everything in my December 2017 box! 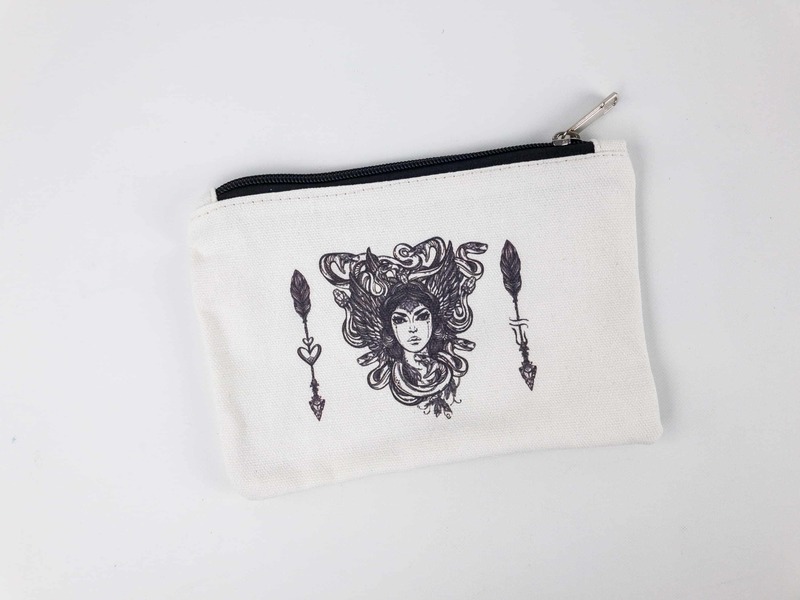 BONUS: Canvas Bag ($8) This canvas bag features a beautiful representation of Medusa. It can also fit this month’s make-up stash! 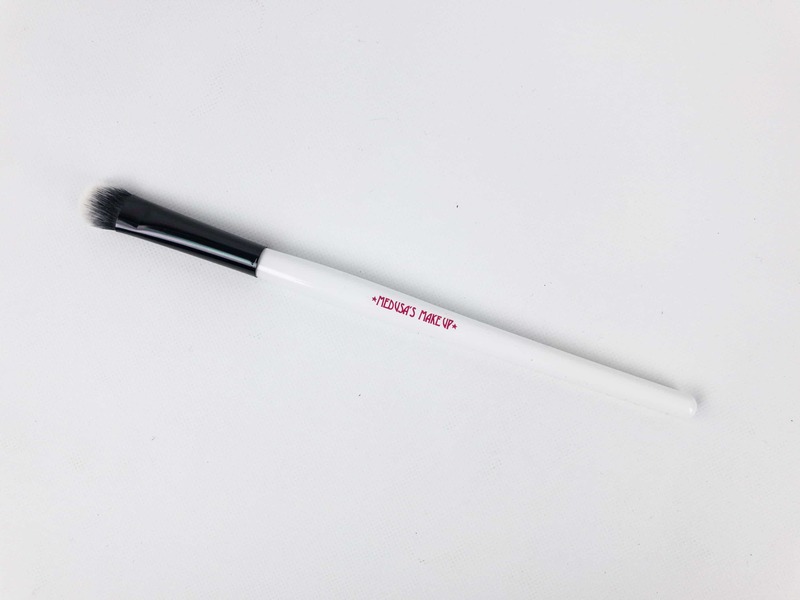 Contour Brush ($6) A good contour brush is a must-have in any basic make-up kit. 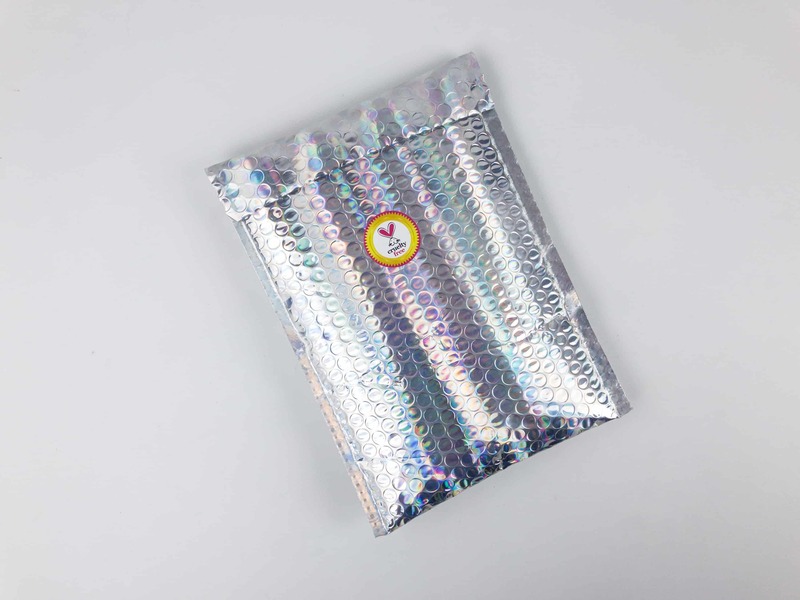 This one is made of synthetic fibers and is meant for shadow contouring. 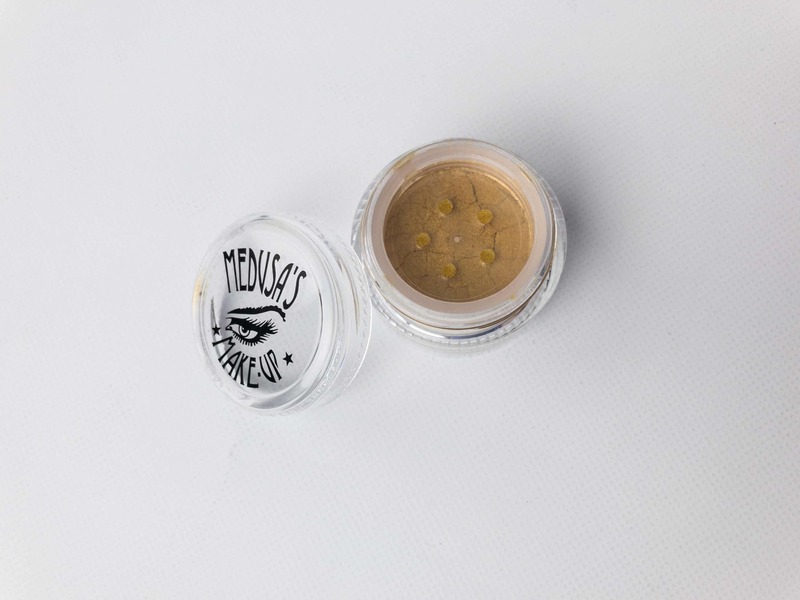 Eye Dust In Golden Boy ($8) I love how this mineral eye shadow easily glides on the skin and stays all day long. This shade is perfect if you want a golden glow on your look. 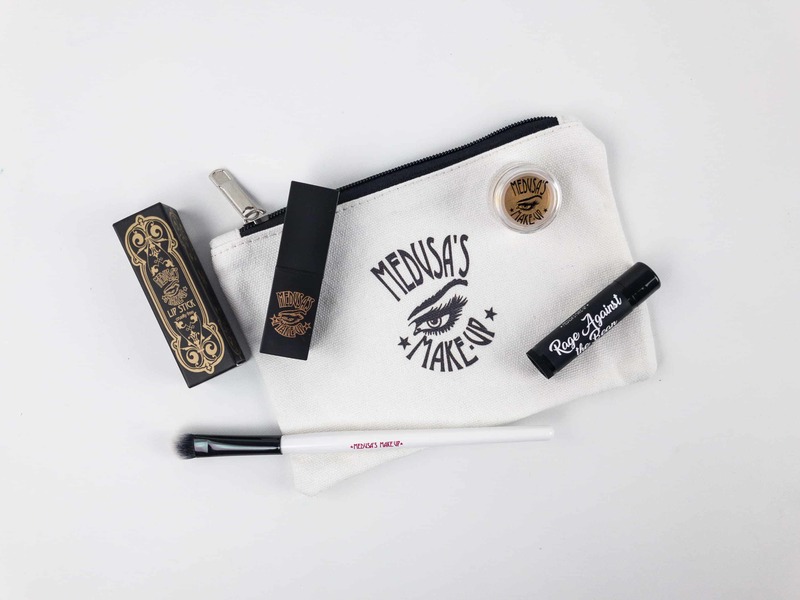 Like most of Medusa’s products, it is compact so it can easily be brought and used for a quick make-up fix. 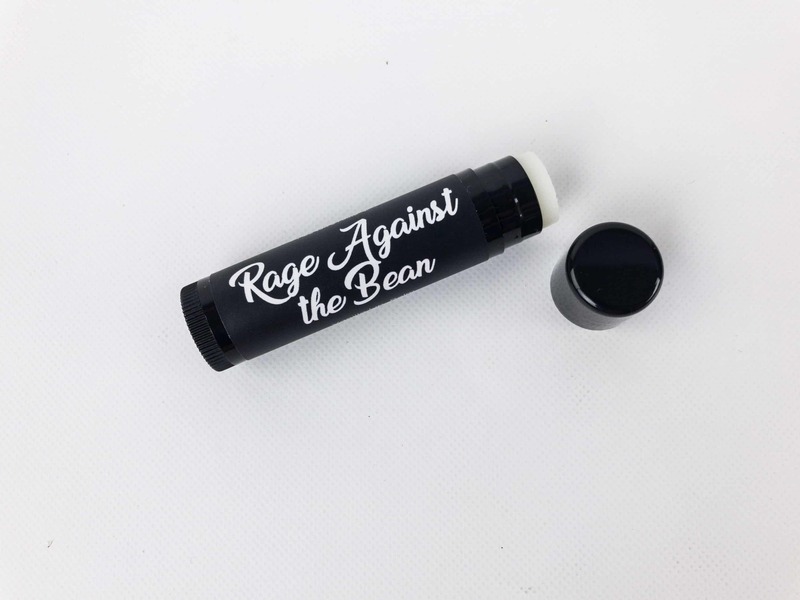 Rage Against The Bean Lipbalm ($8.95) Yay for a vanilla-flavored balm! This feels great on the lips. It kept mine moist and free from chapping, so useful especially this cold season. 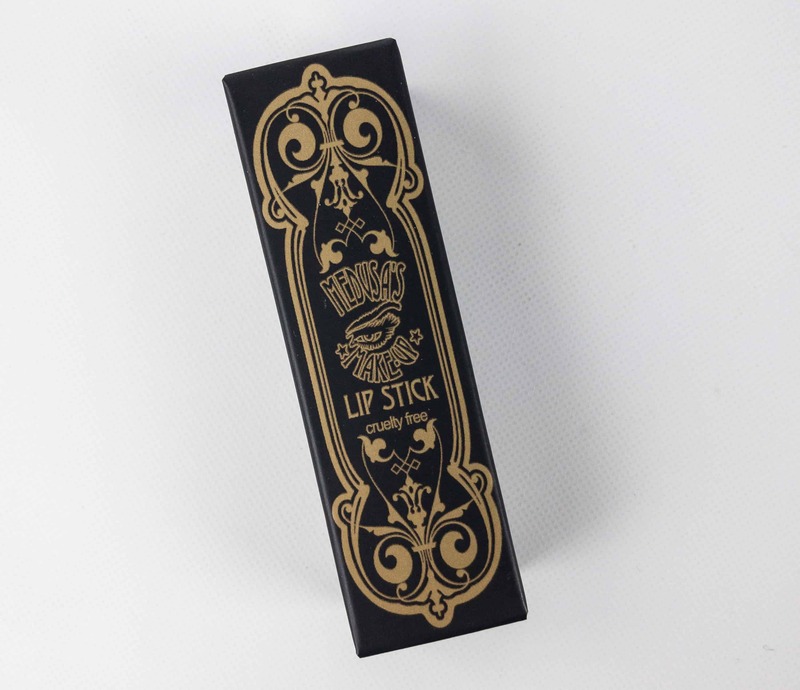 Lipstick In Triple X ($12) This bright pink and richly pigmented lipstick is a luxurious blend of natural waxes. It’s so creamy and nourishing, not to mention long-lasting. 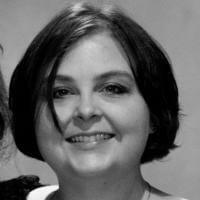 It’s really great not having to reapply lipstick so often while I’m busy with so many stuff during the holidays. 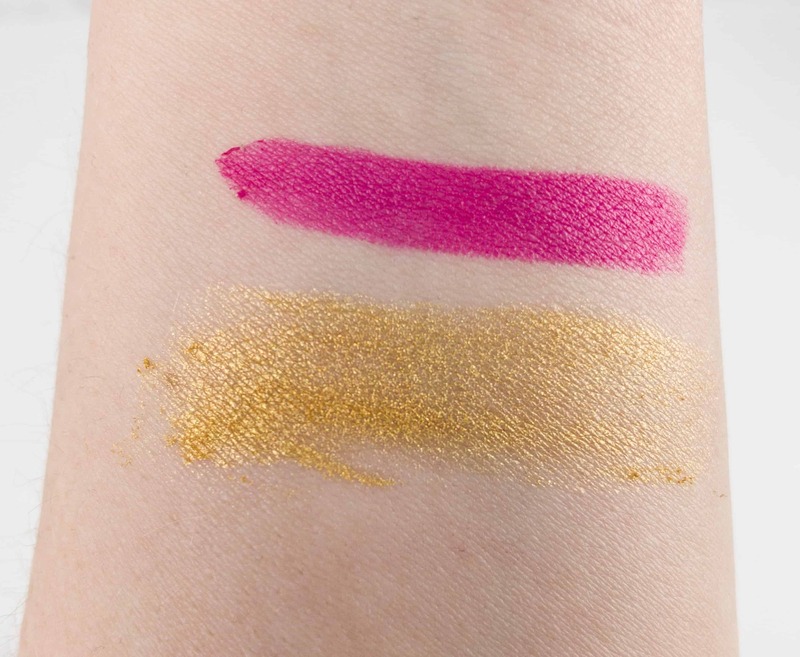 Here are the swatches for the lipstick and eye dust. I can’t stress enough how long lasting this lipstick was, despite it not being a matte! 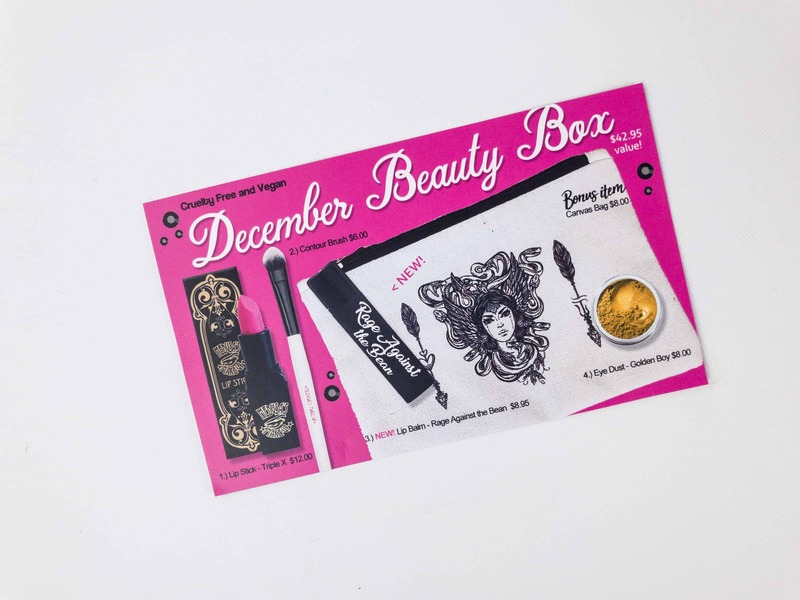 This month’s box focused on a glam Holiday look with well-pigmented and long lasting colors, and I love it! 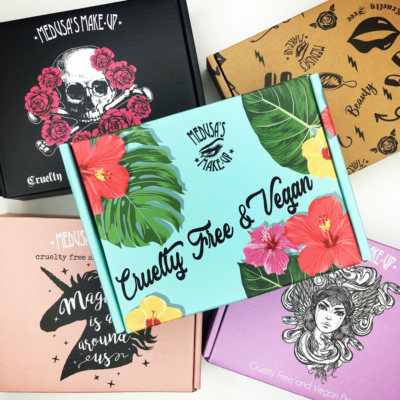 Medusa’s Make-Up is an awesome vegan beauty subscription, they always give us such a great value for money because the products they send aren’t just high quality, but all-natural and safe to use too! 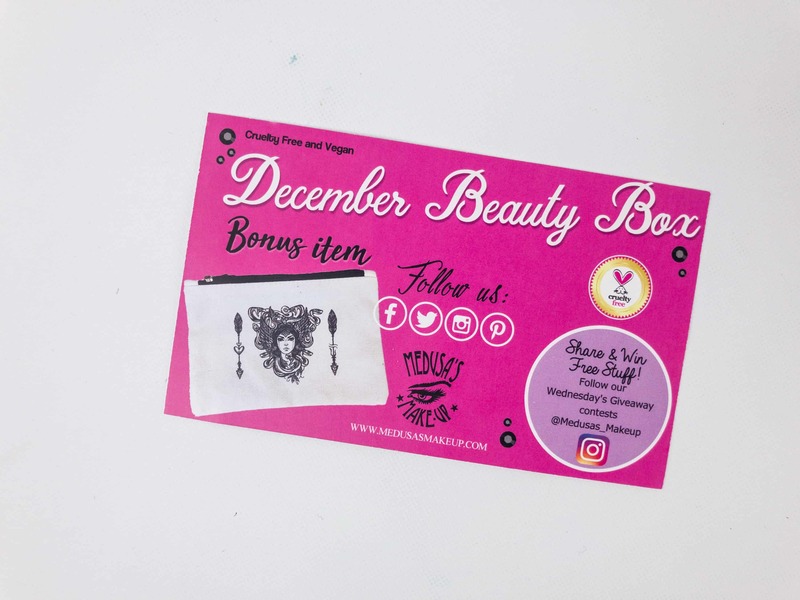 What do you think of the December Medusa’s Make-Up Beauty Box?